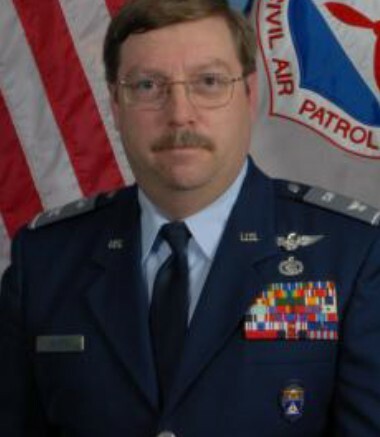 MSgt Carr, CAP National Commander, announced the appointment of Col Kenneth Parris as the new CAP Inspector General, effective Dec 20, 2011, following the resignation of Col Merle Starr. Col Parris had completed his term as the California Wing Commander this past August and had accepted an appointment as the Pacific Region IG. Prior to his command of the California Wing, he served as that wing’s IG, attending the IG College in 2006. Col Parris joined CAP as a cadet in 1976, transitioning to senior member in 1981. He is a 27 year veteran of the Oakland (CA) Police Department, currently a police lieutenant assigned to the Department’s Office of Inspector General. Col Parris is a veteran of the US Army Reserve, having been commissioned an Infantry officer in 1983 and receiving an Honorable Discharge in 1991. I am honored to be appointed by MSgt Carr as the CAP Inspector General. The CAP Inspector General’s Office has a long, distinguished history of service to Civil Air Patrol and its members, exemplifying our Core Values of Integrity, Volunteer Service, Excellence and Respect. I would like to thank and commend my predecessor, Col Merle Starr, for his many years of CAP professional volunteer service, especially his tenure as CAP Inspector General. While the IG program is well established and thriving, there is much we can still do to improve and refine our efforts. Of particular importance is the building of relationships between commanders and inspectors general at all levels. For an organization to be fully effective and mission ready, commanders and inspectors general need to work together to ensure policy compliance, fiduciary accountability and the application of sound management practices. Since both commanders and inspectors general are working towards these same goals, there should never be tension between them. Inspectors general need to fulfill the responsibility of being the “eyes and ears” of command, especially when conducting compliance inspections (CI and SUI). As it is impossible for a commander to be in all places at all times, reports from the inspection program become vital feedback information for the commander. These reports allow the commander to know where the strengths and weaknesses lay within his/her organization so that deficiencies may be addressed and successes replicated. Commanders and inspectors general should be meeting on a regular basis to discuss the health and vitality of their commands. It is incumbent upon inspectors general to be examples of our Core Values and advocates for organizational integrity and accountability. In all cases, inspectors general need to avoid the perception that they are playing a game of “I got you.” This perception is harmful to a sound compliance inspection or investigation program. Inspectors general need to be knowledgeable, fair, impartial, unbiased fact finders in all their endeavors. Commanders need to know their commands will be justly inspected with clear and concise results articulated to them, identifying both the organization’s strengths and weaknesses. Complainants and subjects need to be able to trust in an investigation process that identifies only facts and is devoid of emotion that can cloud a commander’s understanding of what actually transpired when he/she reviews a report of investigation. Presently, the CAPR-123 regulation series is under review. While these regulations have been an effective guide in the conduct of the CAP Inspector General program, it is our goal to continue to refine and improve our processes and practices so that they will achieve the high quality our members and our organization not only demands, but deserves. I look forward to speaking with many of you in the coming months. Please don’t hesitate to introduce yourself to me when we are attending activities together. Within hours of announcing that he was stepping down as the CAP IG, the entire IG staff emailed or phoned Col Starr…Merle…extending thanks for his hard work. Under his leadership, the IG staff grew to the extent there are people ready to step forward and continue the work of the program. Those of us who got to know Merle understand his more than 50 years of dedication to the Civil Air Patrol. In addition to his role as the IG, he is a former wing and region commander. Merle is also a retired Air Force officer. With an already distinguished career behind him, we anxiously anticipate his next achievements! We are not in the investigation “business”! We are in the complaints resolution business. This is a significant driving definition of what we are doing. In the last 18 months, the National IG staff has investigated zero (0) complaints! That does not mean there were no complaints received; it means “Q” has found a better pathway to resolve complaints in all these instances that did not require an investigation process. Investigations are a SIGNIFICANT EMOTIONAL EVENT in the lives of all the CAP members. They should be necessary but rare. We are reminded that CAPR 123-2 Para 8e (2) defines four other things to do! Be the first to comment on "MSgt Carr Appoints Ken Parris as CAP IG"